Moroccan people who are from both Arabic and Berber ancestors and the rich history that have influenced their ways of life,have many positive characteristics as hospitality and generosity. They are also distinguished by their traditions in serving cooking and serving food, their wedding’s cultures and their special traditions in daily life. But the most important thing about Moroccan people is that most of us are Muslims and their behaviors and culture influenced by Islam. 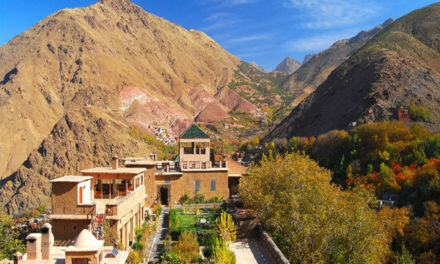 Morocco is an Arabic country but the Berber is the main origin of most Moroccan people, because of their existence in Morocco before Arabs arriving to this country during the 17th century when Arabs came, they had a huge impact on Moroccan people and transmit Islam to become the main religious in the country. Also, Moroccan people are distinguished by the harmony between the Arabs, Berber, and Jews. So 90% of Moroccan people are Muslims and Berbers with a minority of Jewish. Arabic is the main language of this country but there are many other language are spoken here by the Moroccan people in the countryside such as, Tarfit, Tamazight and Tesgalhit. In Morocco, the family is at the heart of everybody’s life and individuals are tied to their families so they preserved the traditions of the meeting between the family members and ask each other about their news. 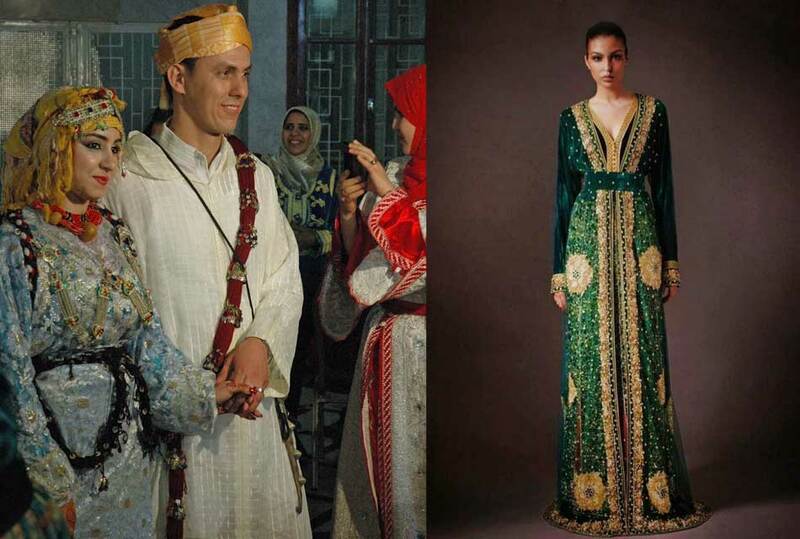 Also Moroccan people still wear the traditional clothes and both men and women wear traditional djellaba, also women wear “kaftan” which is an elegant dress which is a casual one. Brides wear several changes of the kaftan and reached up to seven changes in one night of the wedding ceremony. And each on has its accessories and jewelleries that makes it distinguished and the guests admire by these dresses and look forward to seeing the next one. The wedding ceremonies shows the richness of Moroccan traditions through music, cousins and clothes. Also it shows the remaining connection between Moroccan people because the family and friends come to share in this day. The ceremony lasts from 3 to 7 days to do all the traditional customs, two days before the wedding day the bride goes to traditional hammam with her girl friends and relatives that is considered an act of purification. The next custom is famous Moroccan Henna, in which symbolic shapes are drawn on the bride’s hands and feet. When the wedding day comes, they dance and sing after beginning the ceremony by reading koranic verses then husband gives to his bride gifts. To end the ceremonies and in some parts of Morocco the mother-in-law of the bride welcomes her by offering milk and dates. What increases the popularity of these dresses is that many celebrities wear it on the red carpet Also Djellaba is a traditional one but it is not dressed up by the youngest. Another traditional thing that is made by Moroccan people is the “tarboobsh” that is a red hat. 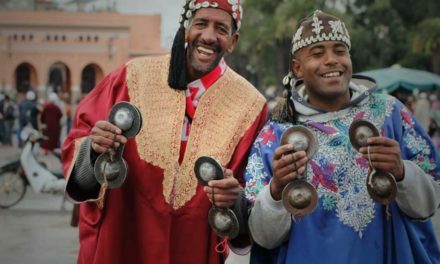 In Morocco you will hear the rhythms of Moroccan people music which are so popular and each area has various types of music. The first one is, the Andalusian which a mixture of both Arabic and Spanish music by the use of many instruments as the flute, violin and the out and the orchestra is composed of rubab, derbouka and a kind of mandolin which is four-string mandolin. The singers who are mostly men perform with traditional clothes. 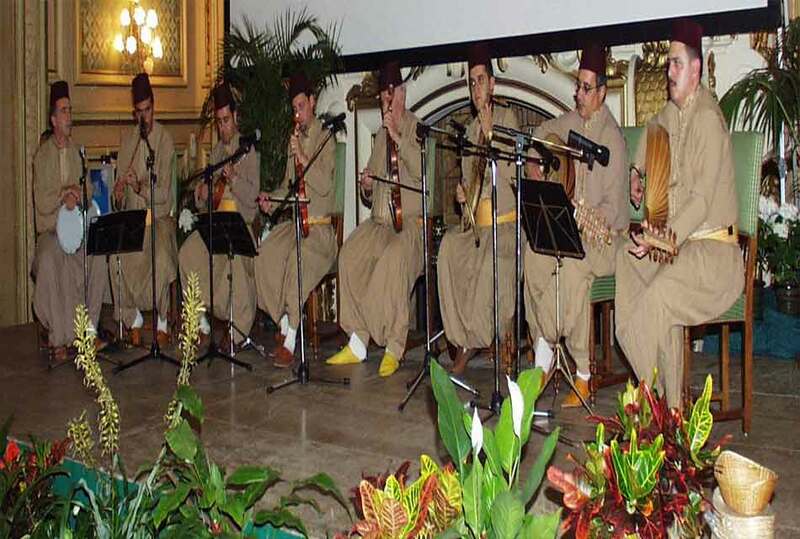 During religious ceremonies of Moroccan people you can hear the Andalusian music. 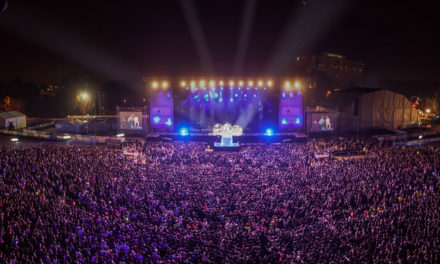 The second type is Rai which has its popularity between Moroccan people in the 90s after the death of Algerian Rai singer Cheb Hasni, and this is spread in the northern part of the country. This type is a mix of both traditional and modern instruments. 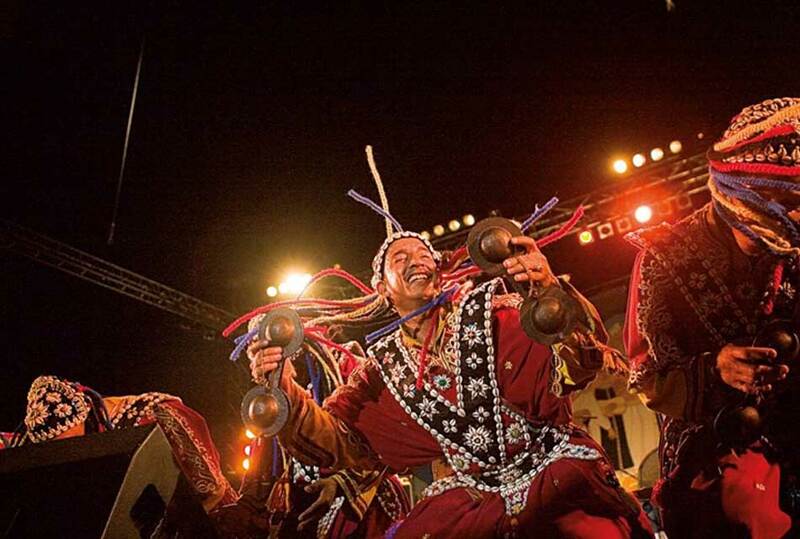 Another type is Gnawa music and it is a mix of Arab, Berber and African rhythms. They use double-headed drum and metal castanets. It goes back to the 16th century but many changes are done to it, as mixing musical styles such as Jazz music. 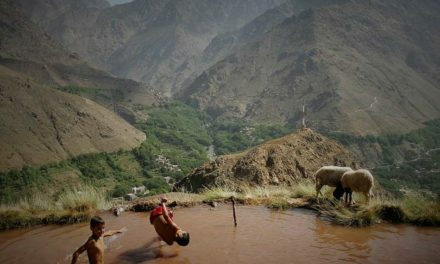 Berber music is played in different Berber places in this country and they play it round drum – or Bendir – and the banjo. 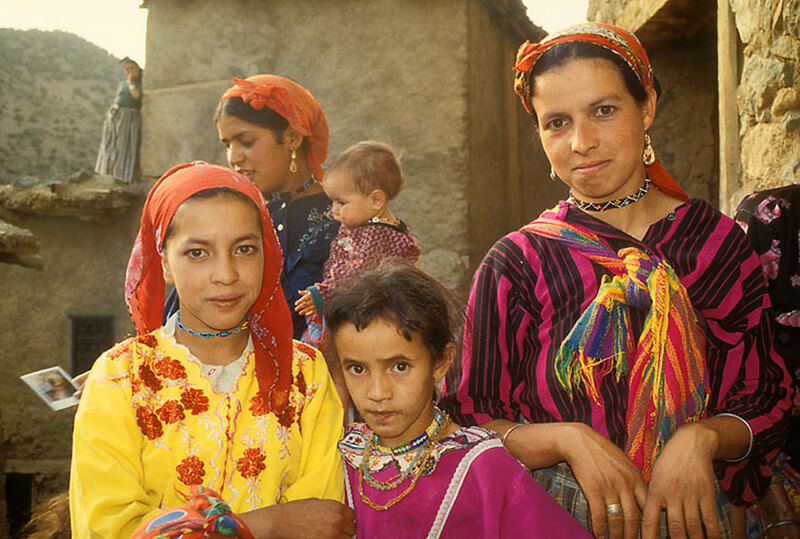 Each Berber tribe has its own style and they perform it mainly during the big collective feasts. Arab Moroccan can’t speak their language so they don’t listen often to this type of music. 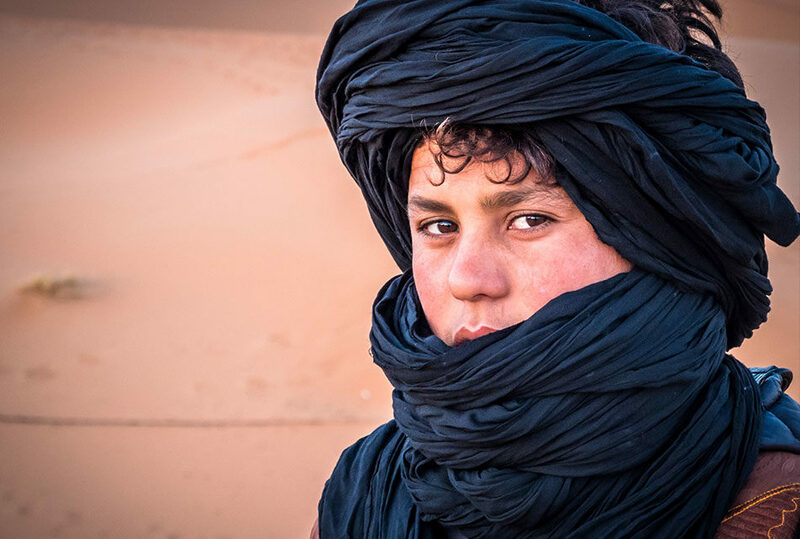 Moroccan people , with their Berber and Arabic origins have many good things that characterize them as their hospitality and kindness also their family and social life are important parts for everybody. They are famous for the wonderful music they perform and the traditional clothes they wear. Their wedding ceremonies are celebrated through many days of festivals and customs. Don’t forget to tell us your thoughts about the Moroccan people and share this essay with your friends.